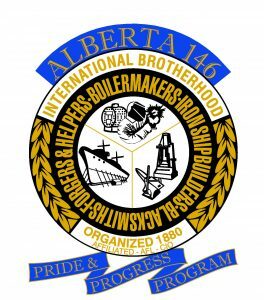 The Boilermaker Pride and Progress Program, now in effect, is developed and intended to promote jobsite excellence, customer satisfaction and Union Pride for the members of Local 146. Through the consistent application of these uniform best practices, our members will benefit by ensuring our clients and customers have a high level of confidence in our ability to deliver the “value” proposition, day in and day out, on each and every job. With a focus on education through union sponsored initiatives and assistance, this program is not intended to be punitive. The primary goal and objective of the program is to promote and strengthen our pride in membership and to enhance our market share and secure jobs for our members today and well into the future. This will be accomplished by demonstrating our consistent ability to deliver superior workmanship and productivity. This program respects the efforts of the significant majority of members who faithfully represent the best interests of Local 146 on the job every day. When necessary, and through the mutual cooperation of labour and management, we will collectively hold accountable, and take to task, the small minority of those that are unwilling to fulfill their responsibilities or that habitually demonstrate behaviours on our jobsites that are inconsistent with sound trade union expectations, principles and practices.